Walker Buehler is the latest L.A. arm to go down. The Los Angeles Dodgers announced Tuesday that rookie sensation Walker Buehler has been placed on the disabled list with a rib injury, halting a season in which the 23-year-old righty had posted a 2.63 ERA and 2.26 FIP while striking out more than a batter an inning. On that list you have one of the best pitchers on earth (Kershaw), an All-Star caliber rookie (Buehler), three rock-solid mid-rotation arms (Hill, Maeda, Ryu), a 21-year-old uber-prospect (Urias) and several useful complementary pieces. Healthy all at once, this group could form one of the best rotations in baseball, plus a good bullpen. With all those guys out, however, the Dodgers’ rotation is… underwhelming. L.A. will send Caleb Ferguson to the mound Tuesday for his second career start, days after he allowed four earned runs in a four-out major-league debut. Maeda will return from the disabled list Wednesday, not a moment too soon, to join the solid Alex Wood, surprise star Ross Stripling and the deeply underwhelming Brock Stewart in a piecemeal rotation. An optimist might point out that the Dodgers have managed to play .500 baseball despite this rash of injuries and could surge once some of these guys return. 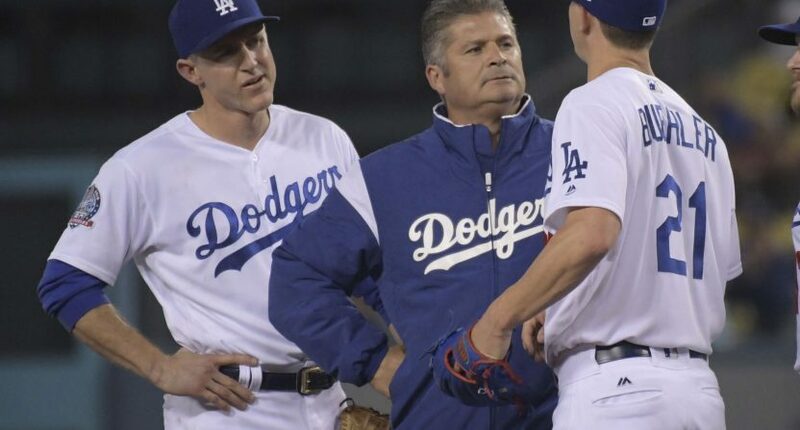 Less of an optimist would wonder just how long the team can stay above water with four-fifths of its Opening-Day rotation, plus key reinforcements and bullpen arms (to say nothing of All-Star shortstop Corey Seager), on the disabled list.